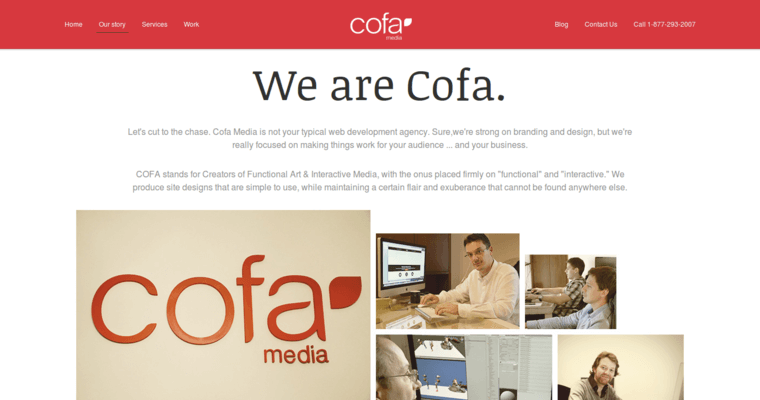 Cofa Media is a high-end web development company. With offices in San Diego, Haarlem, Netherlands, and Belgrade, Serbia, this company has global influence. 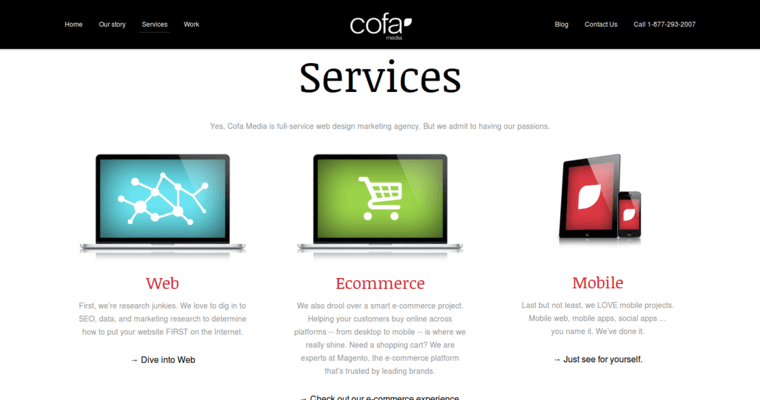 Cofa Media specializes in web design and development, online marketing, web and mobile applications, and online business analysis. Clients who use this firm receive an excellent return on their investment and are guaranteed websites that are very search engine optimization friendly. 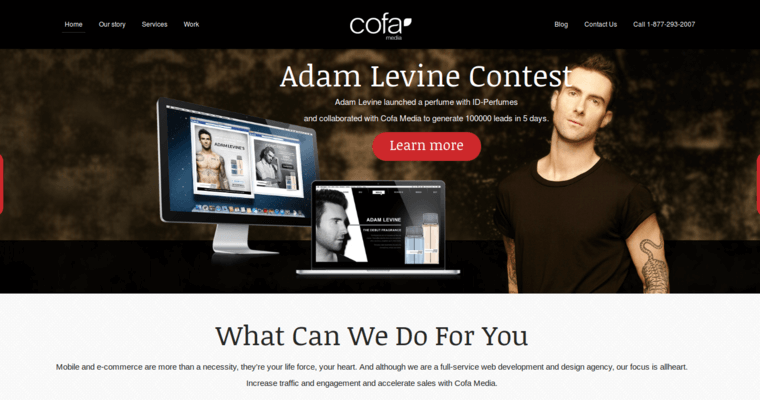 Cofa Media is always aware of the latest trends, and they have the ability to create winning campaigns using strategies like hybrid application design, wearables, digital marketing strategy, and branding. Satisfied clients include Dexcom, Roambi, Burton, and Alerian.